Only yesterday, we reported how a foreigner changed the way lessons are taught to delinquent, young teenagers. After asking the boy who misbehaved with her to take part in a campaign that stresses on the importance of respecting women, Ulrike Reinhard has managed to do something more. When she recounted the unfortunate incident with the 14-year-old boy, she mentioned how she visited the Panna Police Station in Madhya Pradesh to lodge a complaint. However, things took a pleasant turn from there. 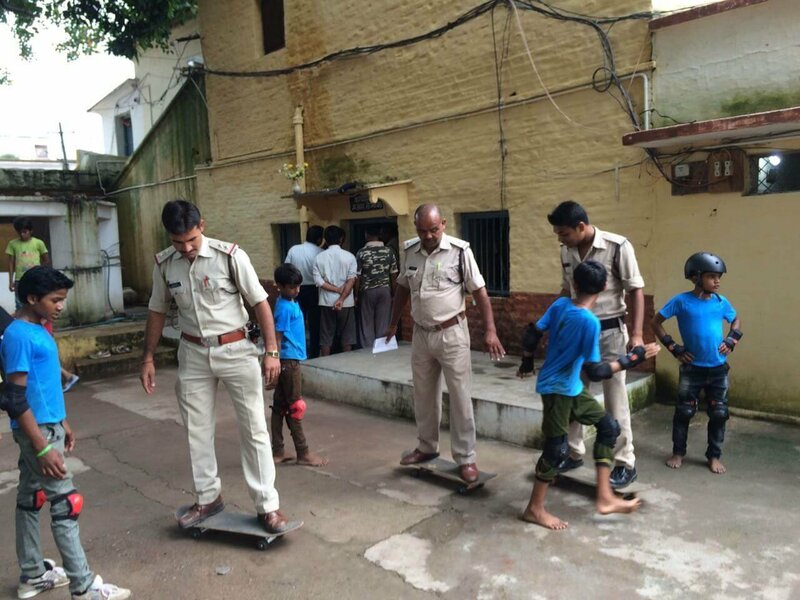 As she was talking to the concerned officials, she saw that the kids she came with were teaching the policemen of Panna how to skateboard. Seeing this, all the officers who were inside the station came out and watched in delight and wonder, eager to try this new thing. 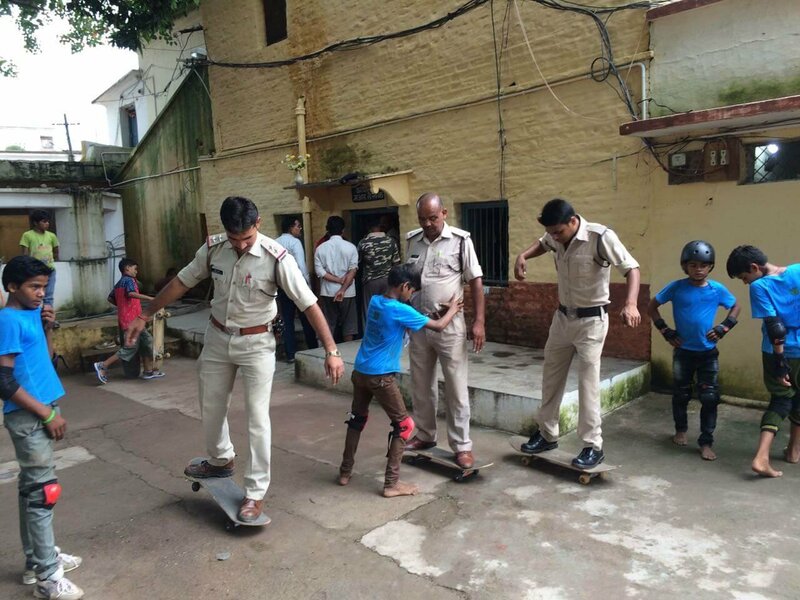 While most of us either cower or disrespect policemen, here were kids from a small village, holding policemen's hands, (and bellies) teaching them how to skateboard! The kids are from a small rural village called Janwaar in Madhya Pradesh. It houses one of the largest skate parks in India, built by the efforts and dedication of a small group of people, which Ulrike is a part of. Skateboarding for these kids is an alternative way to learn new things. Well, now it seems that the kids are capable of teaching as well. The officials of Panna Police Station are in talks with Ulrike to chart out an elaborate skateboarding programme for the officers! 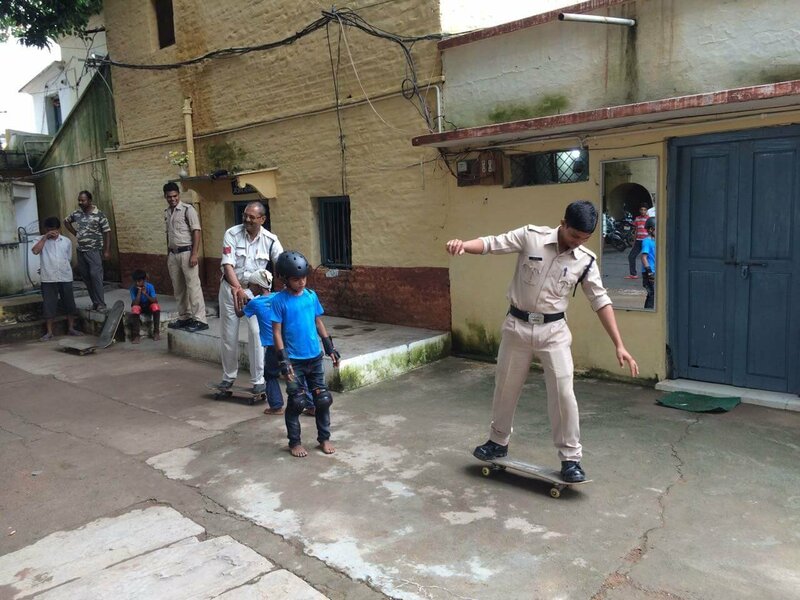 If the plans come through, (which we hope do) Panna will probably be the only police station in India to have officers who can skateboard. All images have been used with the permission of Ulrike Reinhard and should not be reproduced. As for the campaign to teach boys and men how to respect women, Ulrike is in talks with the family and the schools. We hope this plan sees the light of day really soon! To the kids from Janwaar, and Ulrike - you guys are changing a lot of things in the most pleasant way. Hats off to you!